American farmers are working harder than ever, and it shows. 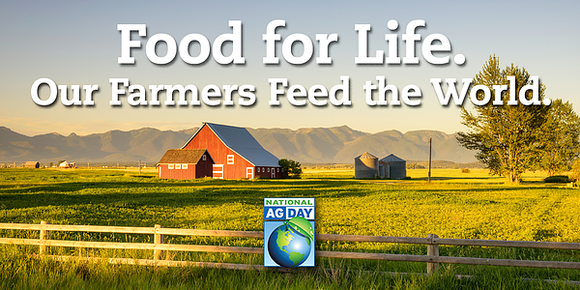 Today, each American farmer feeds more than 165 people, and the need for food produced in the United States is dramatic. 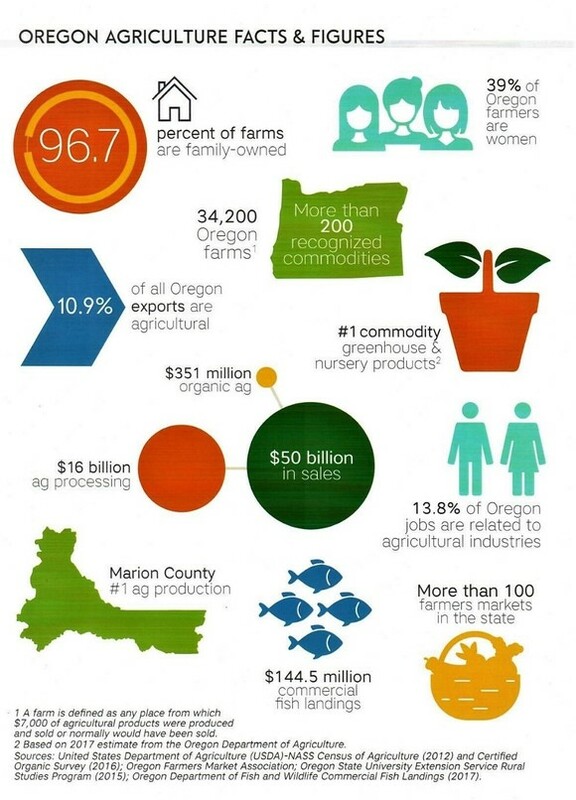 Agriculture is this nation's #1 export and vitally important in sustaining a healthy economy. It's not just the farmer who makes our food possible. The entire agriculture industry are vital links in a chain that brings food to every citizen - from farm to truck or train to grocery store. 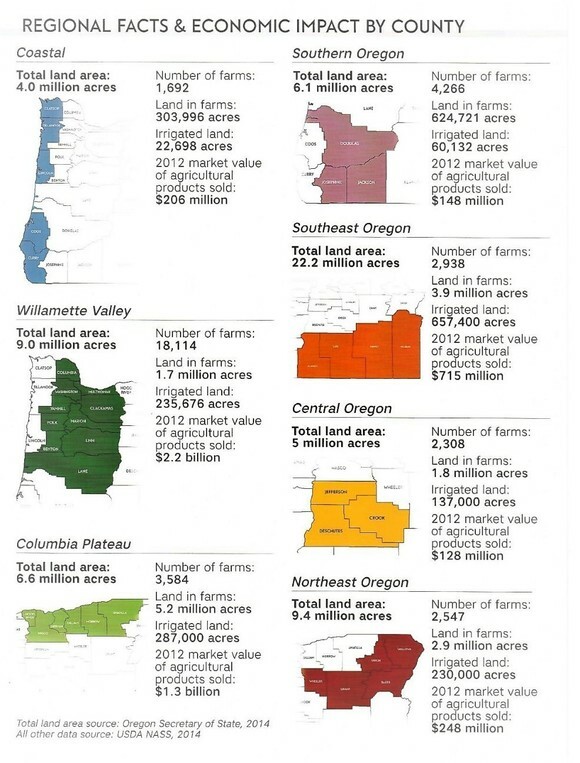 It's easy to take agriculture for granted in America. Our food is readily accessible and safe. For this, we're unbelievably fortunate . . . We should recognize how and who make it possible. 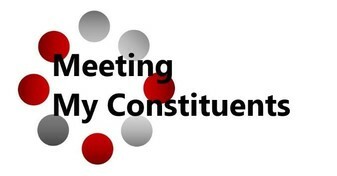 A Town Hall Event to Meet Your LINN-BENTON Legislators. Join Representatives Marty Wilde (District 11), Mike Nearman (District 23) and myself, on March 30th from 1-3pm in The Tripp Theater at LINN-BENTON Community College. Stay tuned for possible speaker additions and updated event details. Don’t forget to follow me on Facebook or Twitter as an event reminder will be posted soon! 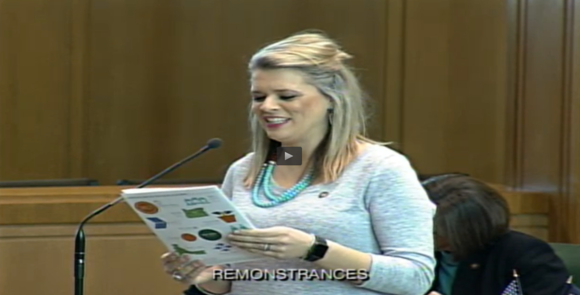 Contributing to my eventful week, the REAL Oregon Program – Class 2, visited The Capitol and I had the privilege to introduce them on the House floor. REAL is an acronym and stands for Resource Education and Agricultural Leadership. This is a leadership and professional development program that brings current and future leaders from agriculture, fishing and forestry together to learn and enhance their leadership skills, network, and gain a greater understanding of Oregon through a series of five statewide sessions. The 30 natural resource professionals that make up Class 2 come from all corners of the state. Representative Janelle Bynum (District 51) and I, joined the team, for a lunch time Q&A at the IKE Box restaurant in Salem. This was a great way to better understand Urban and Rural perspectives as well as a bipartisan collaboration. 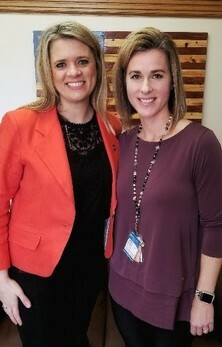 Kelly with Samaritan Hospice stopped by on Monday. Samaritan is the biggest health service provider in the area and provide vital services to our community. 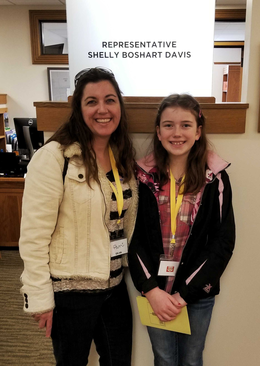 Addison and her mom stopped by the office Wednesday, but I was in committee! Sorry I missed you! 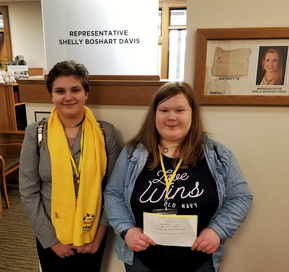 Rachel and Zoey were up in Salem advocating for Oregon's Virtual Public schools!